Switzerland coach Ottmar Hitzfeld believes that by remaining organised his team could make their first quarter-final appearance since they hosted the finals 60 years ago. The Swiss have never beaten Argentina, drawing two games and losing four. "We are the clear outsiders but we have nothing to lose and much to gain," he told the Swiss FA website. "I think we will definitely have the support of the Brazilian fans in the stadium," goalkeeper Diego Benaglio said at the Swiss training camp in Porto Seguro. 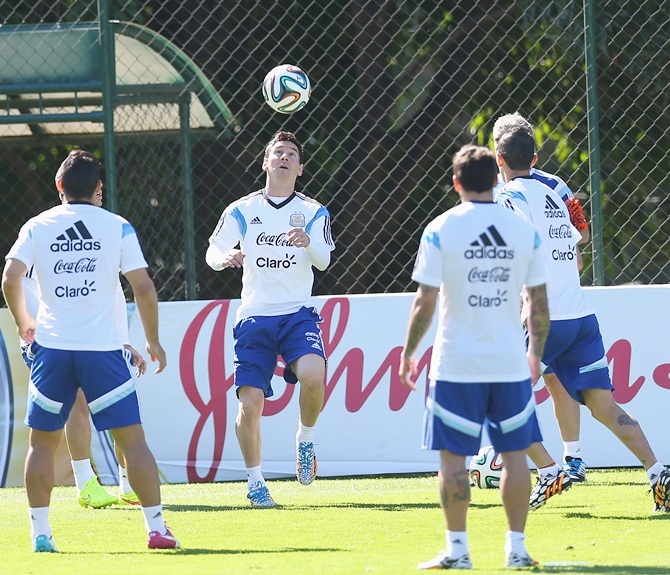 "You can feel the rivalry between Brazil and Argentina here." It was considered the 'Group of Death' in the United States but Juergen Klinsmann's team emerged from Group G to earn a second-round clash with Belgium and now believe they can really make the world sit up and take notice. Victory over Ghana, a 2-2 draw with Portugal and a 1-0 loss to Germany was enough for the Americans to make it into the last 16 against the predictions of many. "Before this tournament started, no one was talking that America can come to the next round. 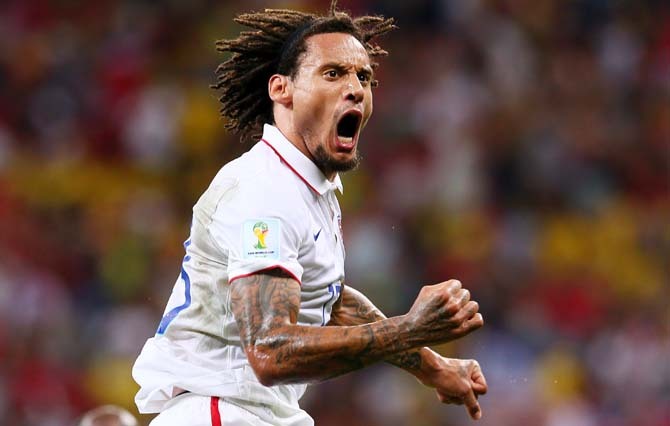 It was always Portugal and Germany,” said combative midfielder Jermaine Jones, the US's outstanding player so far who got a superb goal against Ghana. The decision to leave the country's all-time top scorer Landon Donovan out of the squad caused considerable debate in the U.S., as did some of Klinsmann's other selection choices, but Jones believes the coach got it right. “We showed people that we have a good team and we have a good atmosphere in the group. Everything that the coach did before the tournament, who he sent home and who he took for the team, I think was a good decision,” he said. “The team showed heart and gave good feedback. Now for the next game, it's the same tough game as Germany was. 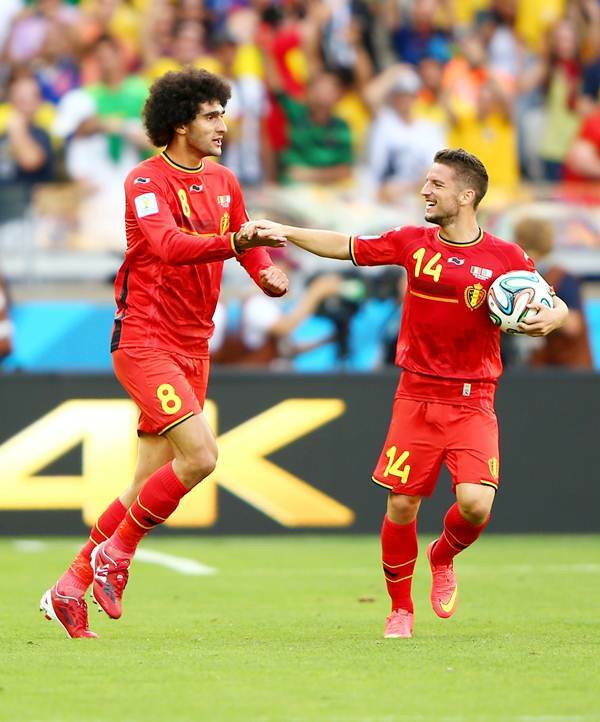 Belgium have a lot of experienced players, good players from different good clubs. It's a knockout game and we have to see it like a final,” he said. Clint Dempsey, who has been pushed into a more advanced centre-forward role in the absence of the injured Jozy Altidore, knows that form from the group stage counts for little in the knockout phase. Four years ago, the US were euphoric after scraping into the second round ahead of Algeria and Slovenia but were quickly brought down to earth by a loss to Ghana in the knockout round. "Everything’s fresh again," said Dempsey. "It doesn’t matter what you’ve done in the group stages, it’s what you’re going to do on that day. I think there’s more pressure to that game because you either stay or you go home. After a scrappy rearguard display versus Germany, Klinsmann wants his team to return to the swift passing game that was so impressive against Portugal. "We have to keep the ball longer, be calmer under pressure and move the ball around," said the German coach. "Every time we shifted the ball and had four or five passes, we looked really good. It is generally something we have to improve, to make our opponents run."